Choosing a Christian home school curriculum can seem like a difficult and time consuming task. This is particularly true if you are new to homeschooling. You want to pick the best programs out there, but there are so many to choose from it can be overwhelming. Here are some things to help guide you in the process of choosing a faith-based homeschool program. What Kind Of Learner Do You Have? It is important to answer this question before you choose a Christian homeschool curriculum. If you have a very hands on learner, materials that rely mainly on workbooks may not be the best choice. However, a child who is self motivated and enjoys writing and completing papers might love a workbook lesson. 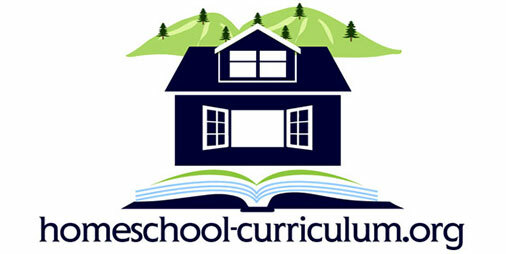 Homeschooling is all about tailoring your child’s education to suit them best. You want to present lessons in a way that will spark your child’s love of learning. After all, if they learn it because they are interested in it, they will retain it much longer and you will not have a fight on your hands. And conflict is one thing all parents have enough of already! 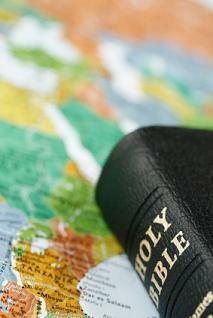 You may ask, ‘Why is a Christian worldview important? Can’t I teach my child about our faith separate from their lessons?’. Sure, you can teach your child about your faith without including it in their lessons, but why would you want to? The goal of teaching your child about God is to show them that God is intimately involved in everything. Doesn’t that include their school work? When you are teaching science, wouldn’t you rather have lessons that teach that God made the world, and He designed each muscle in your body to work with the other muscles? Only God could have created such intricate designs, and having lessons that reinforce these principles shows your child that God is everywhere and in everything. It teaches them that God loves them enough to work all things around them to their good, and teaches them to look for Him in all things. This is why a choosing materials with a distinct Christian worldview is so important for many parents. There are many options available. When you are searching for the right one for your child, you should look at what that lesson plan entails. Here are some questions to consider before taking the plunge. Will you need to borrow things from your library? Are those resources available to you? Will you need a computer or other expensive equipment? How much time will you need to put into preparing to teach the lesson? Does the company offer a guarantee or a return policy? Are there any discounts available, such as buying at a homeschool fair or secondhand? What do other parents think about this program? Is there a sample or trial period offered? Have I prayed about this decision, and do I feel like the Lord is leading me to use this one? These are just some of the questions to ask yourself before committing to a new program. There is not one ‘best’ choice that will fit every child. That is the beauty of homeschooling. Your child is unique and beautiful. God has given each person the gift of different learning styles. 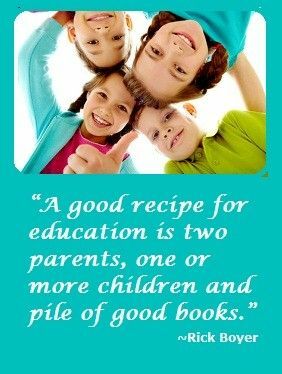 It is our job as parents to discover that unique learning style and use that knowledge to help our kids be the best that they can be. Don’t be afraid to change programs once you have begun if it doesn’t work for your family. If you or your child doesn’t care for an approach, try something else. If you have a lot of money invested in a program, try listing it on a co-op or Ebay. Many people are looking for discounted materials and this may be a chance for you to get back some of your money as well as for them to get a good deal. Homeschooling is a gift. It is a gift for you and for your child. Let choosing a Christian home school curriculum be a fun process for you and your child. You will be glad you did!